Our very popular fuel management solution is your answer for total fuel control. Complete fuel dispenser interface for your fuel dock, as well as pay at the pump options. Mobile app solutions available in both the Apple app store and the Android Google Play store. Gone are the days of mailing paper contracts. Modernize your operations with digital e-signature contract and document delivery service. Everything you need to manage your boat rental fleet. State of the art wireless boat monitoring of vital areas of your boat or boats in your marina with instant alerts when potential issues are detected. 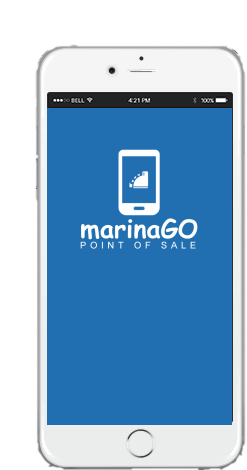 Join the thousands of users worldwide utilizing the MarinaOffice Suite of Solutions to better manage their marina and marine operations. Looking for the most effective marina management software or marina software? Look no further than the MarinaOffice Suite of Solutions. As complex as your management and operation may be, we can help by offering a choice in your solutions. With a combination of enterprise level management tools, cloud based extensions and mobile apps, our comprehensive suite of solutions offers a variety of options and features to choose from. We offer a vast array of enterprise management solutions that handle everything in the back office. Simplify your marina management or marine related operations by introducing the powerful capabilities of our solutions. Extending beyond the back office could not be easier with our cloud based solutions and hosted services. Have your entire enterprise level operations hosted in the cloud or offer consumer based cloud services such as e-signature contracts or online bill payments. Rounding out our suite of solutions are our mobile offerings. With apps currently in the Apple iOS app store and the Google Play Android store, your marine management mobile solutions are just a download away. Did you know that our solutions are award winning solutions? That's right! Our solutions are multi year winners of the Boating Industry Top Products award. Be sure to view our vast library of video demonstrations. Obtain a good understanding of the solutions that we offer with these entertaining video movies. Looking for a better way to manage your marina property? 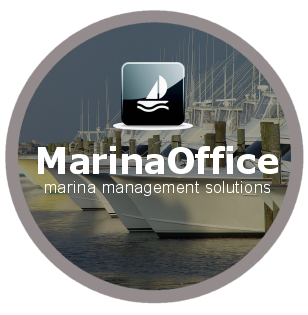 The MarinaOffice™ marina movement software is your answer. The PureRetail™ POS is just what you need for fast and efficient sales transactions in your retail store or ship store. The very popular PureFuel-FI / PAP fuel management solution is perfect to integrate and control your fuel dispensers. Have a boat yard or service shop? The PureService™ work order management and service solution is exactly what you need to manage your service requirements. Gone are the days of sending paper contracts and other documents. We offer the first marina integrated e-signature contract and document delivery service. Provide your customers with the simple and easy to use online bill payment service. Speed up your cash flow by offering web based payments and accounting management. Connect with your customers could not be easier with our cloud based services. A vast array of consumer based web apps empowers your customers to do more. Want to be mobile? No problem with our library of mobile apps in both the Apple app store as well as the Android Google Play store. Better manage your dry storage facility and easily schedule the launch, haul, and retrieval of boats in and out of the water. Take advantage of our new boat rental management solution with a drag and drop rental calendar and other user friendly features. Our restaurant management solution provides an easy way to run your restaurant or food service with direct integration with the rest of our solutions for a unified billing approach. The MyBoatStatus wireless vessel monitoring system is all you need to monitor the status of your boat or network of boats in the marina. "The program provides a logical means to correlate slips, customers, invoicing and contracts. Control, manipulation, and data entry into MarinaOffice is very intuitive and easy to learn." "Our marina was looking for the ultimate solution to our accounting needs. In the marina industry you are only as good as your ability to access your customer information and charge for services. MarinaOffice by Scribble Software was this solution!" "I have been using Scribble Software to help manage Marina operations since 2009 and I could not be happier with the product. The interface is straight-forward, and seasonal staff "get it" very quickly." "We have been using Scribble Software since 2005. We are a marina with several boat slip rentals, cottage rentals, houseboat rentals and small watercraft rentals. we have been providing much quicker and more efficient customer service. Everything to operate this type of business is now easier to access. Thanks Scribble!" "I have been using Scribble Software for about three years now and the software has really made our operation so much more efficient. We are very happy with the package that Scribble Software has put together." We consistently enhance our solutions to utilize the latest technologies proven to be reliable and dependable. These technologies allow us to provide the most comprehensive marina management software solutions on the market.